The world of customized sets has arrived with LEGO Factory becoming Design byME this month. 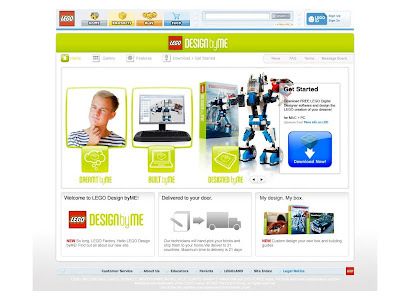 In addition to being able to digitally design sets, visitors to LEGO.com will be able to pick the box and can choose to include printed instructions. So, if you dream of being a LEGO set designer, here's your opportunity to be one. In a recent article on Twitter, The New York Times suggests that this as a move by LEGO to offload the design costs on fans. While there may be some side benefit to having a group of people creating new designs -- the reality is that both the brick palate available and LEGO's Research and Development cycle mean that LEGO is several years ahead when it comes to design. So, although fan-designed sets may be highlighted, I don't believe they'll be driving LEGO's set choices beyond some data mining as to the popularity of certain themes. Overall this is a win for fans -- the chance to make customized sets and dream for a day that LEGO has hired you as a set designer.